You’ve created an automotive website, posted high quality content, and implemented all the marketing strategies you knew. Why can’t you generate traffic? How can you attract visitors to discover you? What best practices do you implement for converting visitors into potential customers? This is where automotive inbound marketing comes in, allowing websites to promote their businesses on a variety of engaging channels. Working on your inbound marketing can help in identifying, educating, and applying solutions for attracting visitors, while building up your trustworthiness. Here are 15 free traffic sources/methods you can use for attracting prospects and boost your overall profits. 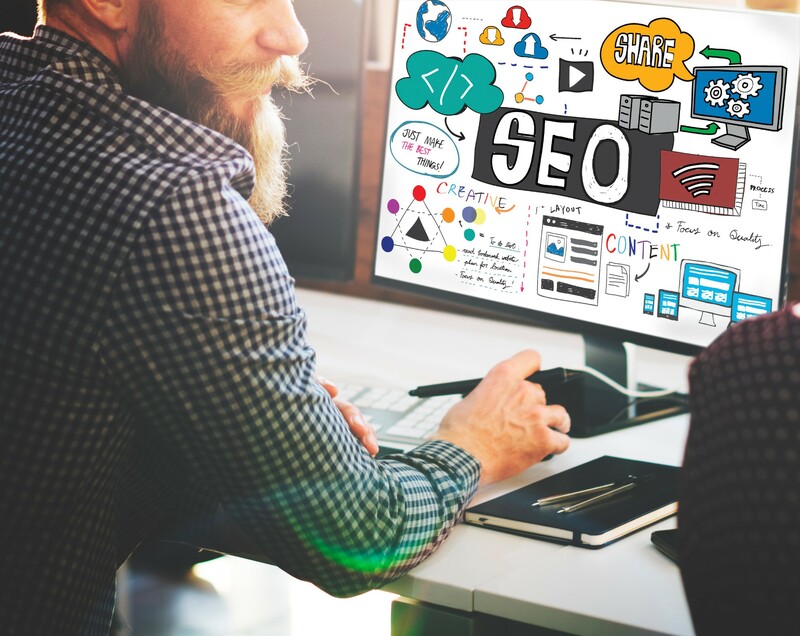 To give your website an edge over the competition, you can consider hiring a professional SEO agency that can optimize your website according to Google’s latest policies and algorithms. This enables your car dealership website to get more visitors, as you learn exactly what attracts your target audience. By posted content with targeted keywords, you can further help luring customers that may require a certain service/product in your area. Email marketing is a very traditional method for generating traffic. However, automotive inbound marketing is all about utilizing multiple channels for promoting your website and figuring out what works best for your target market. Emails are still used in many firms for communication between managers and employees. Leverage this to your advantage by sending ads, special discounts to interested visitors. Blogs are still the best way for any automotive business to rank higher and receive more business. This important element of inbound marketing is crucial for helping Google and other customers find your website. If you are posting educational content regarding the automotive industry, like car news, guides, accessories/parts information, upcoming events, you can feel assured to attract plenty of visitors. All it takes is that one hit blog post for your website to come on the radar of your target market. Automotive businesses who want to increase their profits and show that they are industry experts should create in-depth, authoritative, and persuasive reports for educating their audience regarding different topics. This form of inbound marketing is focused more on presenting a problem and providing a solution. For instance, if your customers want to learn about maximizing fuel-efficiency, you can create a highly researched piece that promotes a specialized methodology in the form of a white paper. This will help you gain an edge over the competition, as there are very few car dealerships that actually use white papers in their content development strategy (it’s mostly just about blogs, articles, and PRs). An important part of any digital marketing strategy is to utilize social media for communicating, engaging, and interacting with your target audience. Bear in mind that the world is now being dominated by social media sites. Almost everyone has an Instagram, LinkedIn, Pinterest, Twitter, Google+ and Facebook account. Don’t miss out on a huge chunk of a more interactive target market. Build social relations with other people who share similar interests with regards to cars, be it for selling, buying, or awareness about the latest car technologies, like autonomous vehicles, vehicle-to-vehicle communication, adaptive cruise control, etc. When you create an automotive website, you can’t just forget about posting press releases and engaging in radio/TV. While these may seem a little outdated, it may give you the boost required to help people search for you. A simple advertisement that displays amazing discounts in your local area can generate good attention. Infographics are another great part of inbound marketing. It comes under your content marketing strategy and proves to be a more visual form of attracting customers. With eye-catching images/graphics and concise text that is easily shareable and digestible, you can discuss complex topics for your target audience and help them understand the ins and outs in simple words. Infographics are useful for how-to blog guides. For instance, with images and step-by-step instructions, you can help customers perform DIY tasks on their cars similar to wiki-how. The internet has presented plenty of opportunities for businesses to market their products and services. Among these including hosting webinars, (Live presentations conducted over the internet). These online seminars can prove useful in helping your target audience, prospects, and repeat customers to get to know you better. Very few automotive businesses actually host webinars. To gain an edge over the competition, you might want to consider hosting a few! What better way to personalize your automotive businesses that produce videos that deliver highly informational content about a variety of topics. This inbound marketing method involves broadcasting and recording moving visual images. It can be uploaded on highly engaging sites like Dailymotion and YouTube for attracting customers. Videos are best suited for those detailed car reviews. You can show and explain each pro and con with different vehicles. This also positions you as an expert in the automotive industry. To give your brand a more authoritative reputation, automotive businesses should consider forums and comment marketing. This form of inbound marketing uses a more direct approach for communicating with your target audience and presents plenty of opportunities for you to discuss different ideas and views on varied topics. Your followers and fans can even make comments on blogs and articles. This makes it easier for you to obtain valuable feedback regarding your content marketing strategy. Last, but not the last, automotive businesses should indulge in creating a FAQ page on their website to allow customers and the brand to get into discussions about commonly asked questions with accompanying answers that pertain to a specific topic. This inbound marketing channel is crucial for any car business that wants to gain recognition in the marketplace. Like a roadmap containing many landmasses, symbols, and thoroughfares leading to a particular destination spot or city, there are plenty of channels available to car dealerships for conveying their website’s message to retain, attract, and convert audience. Do not hesitate on using the above-mentioned inbounding marketing channels.